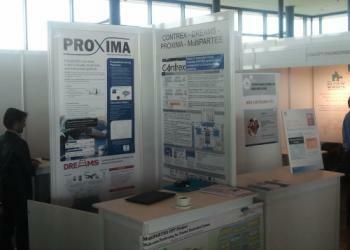 The PROXIMA took part in a joint dissemination event at the DATE conference 2014. There was a joint booth and presentation with DREAMS, CONTREX and MultiPARTES FP7 projects which attracted attention of many attendees asking questions about each project and the collaboration between then. A joint paper with DREAMS, CONTREX and MultiPARTES was also presented in the 3PMCES workshop. The paper introduces the main challenges of Mixed-Criticality Real-time Systems attacked by the projects and the technical approach of each project to addresses each challenge. In addition to the poster, two PROXIMA papers in the main conference were presented.